The thrill of competing with your friends, the roar of the kart engines, excitement of high impact, outdoor activities. There is simply no better place to have a party and Thunder Road makes it easy. Bring the kids and some cake, we do the rest! When you book more than 48 hours in advance and your group has at least 6 people, you’ll be eligible for these great low package prices. Additional universal passes can be purchased for $5.25 plus tax. One wristband is required per Go-Kart or bumper boat. Each participant must have a wristband for mini-golf, Euro Bungy or the Laser Maze. Please note there are age, height and weight requirements for some attractions including go-karts, bumper boats and Euro Bungy. 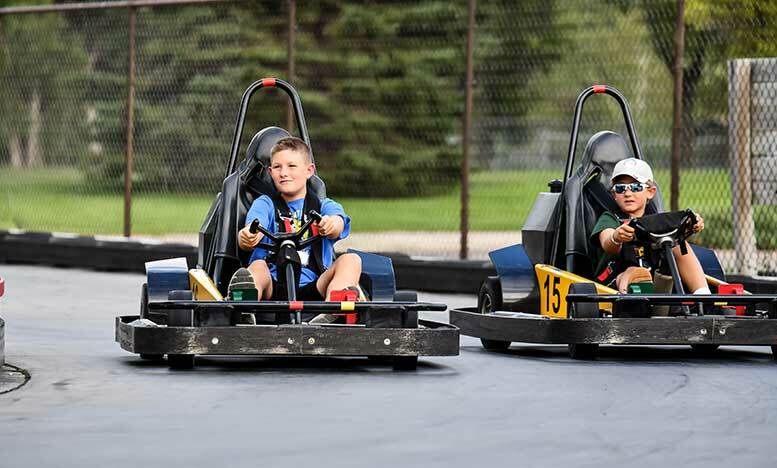 Fill out the form on the right or call us today at (605) 225-8541 to get started booking a birthday party at Wylie Thunder Road! Also don’t forget to register for our birthday club. We will email you a certificate for buy a 2 hour wristband get one free 2 hour wristband. (Only 1 free wristband per certificate and must register at least 10 days before birthday to receive certificate.) Register for the birthday club by clicking here.